The issue of kava in the 27-member European Parliament has been agreed to as a “bilateral issue” and according to Vanuatu’s former Dean of Ambassadors to the EU, Roy Mickey Joy, this is understood. Regarding Poland’s position on kava, the former senior diplomat says, “My advice is for the Vanuatu Government through the Ministry of Foreign Affairs, to request through a diplomatic note through the Vanuatu High Commission in Canberra to the Polish Embassy in Canberra, to kick-start the process of dialogue. That is the first part. “The second part, I think the work done by the ACP and EU through the consultants who were engaged for many years on kava (before, during and after the ban) and the great work that’s been done through the Ministry of Agriculture and the FAO in Rome, is an adequate representation of the technical scientific work that’s been completed on kava and there should be no issue on this. He says the European Parliament will soon debate the issue of kava entering all EU member states including Poland. 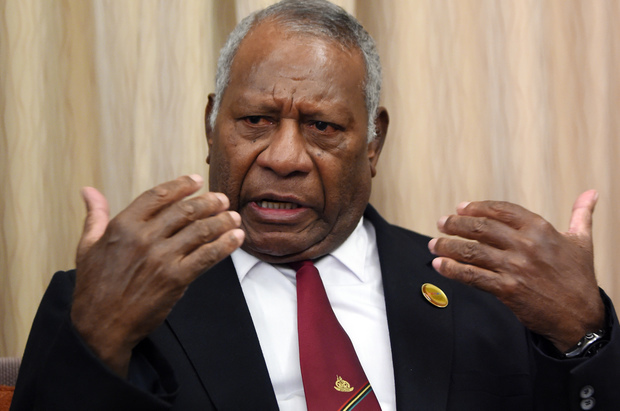 While that may proceed soon, he advises, “I think it is of great interest that the Government of Vanuatu ought to intervene through a diplomatic note through the Ministry of Foreign Affairs as soon as possible, with a view to open up dialogue leading to the Polish Government taking a positive position on the issue of kava”. He describes the situation on kava in Poland as “paradoxical” for 26 member states to keep silent on the issue and allow Poland to “raise its own flag on kava”. “I do not know how many ni-Vanuatu live in Poland but I know for a fact that there are Polish kava consumers in Poland and that is something I realized when I was still in Brussels,” he says. He is confident the issue regarding kava in Poland is an ideal opportunity for political engagement between the Ministry of Foreign Affairs and Polish Embassy in Canberra to find a long lasting solution to facilitating market access of kava to Poland. 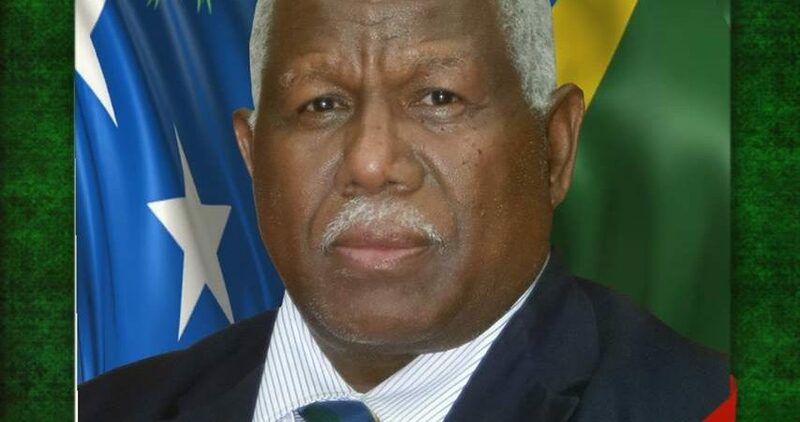 During the EU/ACP Joint Council of Ministers Meeting in Port Vila in 2012, then Deputy Prime Minister Ham Lini Vanuaroroa, capitalized on the delegates present to invite approximately 80 of them to drink kava for the first time at his nakamal at Teouma. “As Vanuatu’s Ambassador to the EU, I was also present and our diplomatic guests were treated to one of the best kava in the world, prepared and served in Pentecost traditional way through ‘bwasisi’ and nobody died, and some of them went back to Brussels with kava powder, while others came to the Vanuatu Embassy and asked for kava and I told them, ‘Sorry we don’t sell kava in the Embassy’. “That kava session at Teouma was a major public relations breakthrough that the Deputy Prime Minister Ham Lini Vanuaroroa did,” he explains. The kava ceremony also broke the ice to prove to the EU/ACP delegates that kava was not harmful to the drinker. It was later used as evidence in the German court to throw the DfArM allegation out the window that kava made the drinker sick. World Maritime News – Over the next few decades, defining an optimal response to the challenges of climate change and rising sea levels will be at the forefront of the dredging industry’s agenda. The dredging industry faces a number of challenges linked to climate change over the coming years. While new opportunities are expected owing to rising sea levels, stricter emission regulations for exhaust gases will also play their part. The latter will have a significant impact on the design of dredging vessels and equipment and the type of fuels to be used. There is a continuous search for more sustainable methods of dredging and ways to power vessels. In addition, the number of emission-controlled areas (ECAs) around the world is increasing and emission regulations regarding shipping are becoming tougher. The International Maritime Organisation is also rolling out stricter regulations for sulphur and nitrogen emissions. In the next few years, the maritime industry will face an increase in legislation regarding the reduction of CO2, particulate matter and black carbon. The effects of which are already being felt, because the majority of the world’s largest vessels use heavy fuel oil for power. “Emission regulations will impact on the design and operation of dredging equipment, and if you’re a vessel designer or owner, you need to start thinking ahead,” said Mr van der Blom. Promoter of Vanuatu and Vanuatu kava in Poland, Dawid Chajman, is advising everyone entering his country to be “very, very careful” and not bring even one kilogram of kava saying, they stand the risk of being jailed because kava remains a highly dangerous drug. Even though Poland is a full member of the European Union, kava has been banned in his country since 2005. He says the situation in Poland is very different to the one in Germany. Kava was banned back in 2005 when the Polish Government was trying to fight against the so called “legal highs” and “new drugs”. Chajman explains, “It created a very long list of psychoactive substances and without giving any explanation, it was decided that kava would become listed in the same category as heroin, cocaine, amphetamine, LSD and so on. “In other words, kava is officially classified as the most dangerous drug the consumption of which is not allowed under any circumstances. “Technically speaking, there is no legal difference between transporting one kilogram of heroin and one kilogram of kava through Poland, so this is something that travelers from Vanuatu should be aware of. “From what we know, Poland is the only country in Europe with such restrictive regulations concerning kava and the only country in the world where mere possession of kava can result in a prison sentence. A few years ago a group of friends of Vanuatu and friends of kava established ‘The Campaign to relegalize kava in Poland’ (Facebook page https://www.facebook.com/legalnakava) and tried to persuade the Government to change its stance, but so far their success has been limited. “We have the backing of a couple of members of parliament and last year we managed to persuade the Chief Sanitary Inspectorate’s office to issue a declaration supporting relegalization we heed to actually persuade the Ministry of Health and the relevant parliamentary committee. 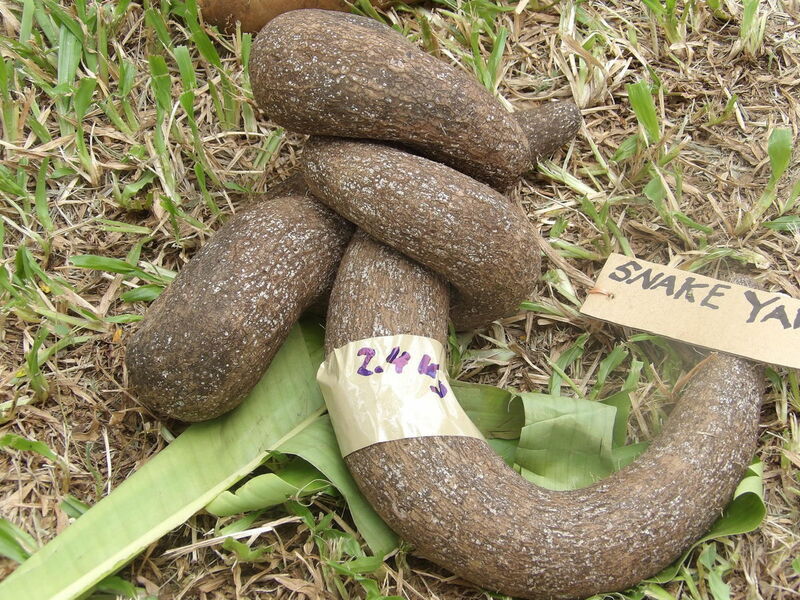 “That declaration was important because the Sanitary Inspectorate analyzed kava and found it to be safe and not posing any kind of significant threat to health or social order. “But we do need more political support for any change to happen. Meanwhile, a report from the New York Times on December 21, 2017 reported that kava growth in terms of consumption has been rapid in New York in the United States of America. The New York Times reported that New York didn’t have a kava bar until 2015. Since then, growth has been rapid. “It’s blown up — just through word of mouth it really took off faster than we expected,” said Harding Stowe, a founder of Brooklyn Kava. “I think people can really use it in New York, almost more than they need it over there. ”There are so many people here that are overworked and just stressed,” Stowe told the New York Times. According to the New York Times, while United States regulators have issued health advisories related to its consumption in the past, kava has never been a controlled substance under the Food and Drug Administration, the Federal Controlled Substances Act or New York State regulations. IN ORDER for the country to make any progress economically it must move beyond business as usual and make deliberate policy choices. That was according to the Deputy Prime Minister (DPM) and the Minister responsible for the Ministry of Finance & Treasury (MoFT) Manasseh Sogavare. Mr Sogavare was speaking during the Ministry of Finance & Treasury (MoFT) 2017 Christmas party held on Friday 8 December at the Pacific Casino Hotel in Honiara. “…we must move beyond business as usual and make deliberate policy choices if we are to make any progress. There is enormous potential in this country of ours, but this will remain untapped if we do not take the initiative to convert the potential into tangible wealth that will improve our economic standing and the living standards of our citizens. “Our area of strength is in our bountiful natural resources, rich and diverse cultures, beautiful beaches, potential attractive tourist sites and activities, acres of arable agricultural lands that are basically lying idol, and willing people to work if given employment opportunities, to mention a few. 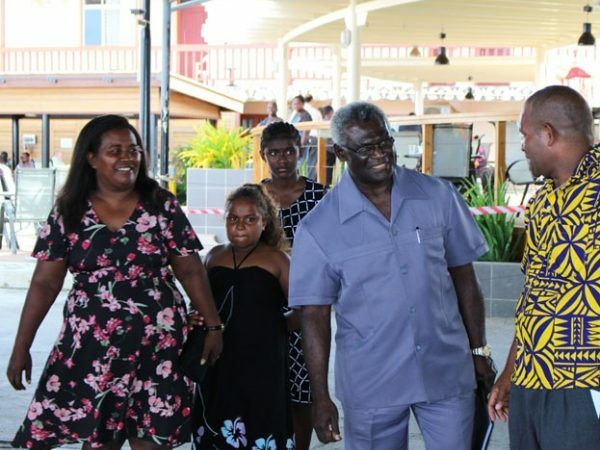 Meanwhile, on the preparation of the 2018 budget Mr Sogavare said the country must be strategic in the way it raise and allocate resources to achieve its strategic economic objective. The Government is in a precarious situation in terms of the implementation of the 2017 Budget and more specifically on the low cash reserve position which increased the vulnerability of the economy to shocks. This position must be reversed immediately. Restoration of an adequate cash reserve must be an integral component of the structure of the 2018 Budget. The real problem area is the unrealistic level of expenditure estimates which over the last three years have been pegged unrealistically too high and on priority areas that contribute very little to economic growth. The expenditure is set at the level that is putting undue pressure on the revenue collection effort of the Government. This must be reversed and the 2018 budget brought in line with a realistic revenue projection. The tax compliance efforts must be pursued and made more effective as a matter of priority, and a strategy ought to be designed and implemented sooner, rather than later, to recover the mounting tax debts. We should progress the proposed review of the tax system – the system should be fairer, more efficient, simpler to use and administer, provide greater certainty to tax payers and Government and be more transparent. This must be done with an objective to broaden the country’s economic and tax base. On the proposed Revenue Measures to fund the 2018 Budget, increase in rates of taxes or reforms that has a leaning towards increasing revenue must not be done in isolation but premised on economic justification and public policy consideration; the consequential disincentive and administrative obstacle it could pose in the development of better business environment for the private sector. Our development partners must be brought on board and actively engage with us in our efforts to advance development, more particularly in our efforts to achieve the objectives of the Sustainable development goals. If there is a real need and in the interest of establishing a good working relationship with our development partners, I see no reason why we should take a negative approach to the engagement of the advisers they have been providing to us. In an effort to gain better economic efficiency and gain in our productive sector we must build working relationship and provide support to implementable reforms in other Ministries. The following activities must be given due attention:a) The reform of the forestry sector. The work on the new forestry Act must be given priority. b) Support the Product Development Program of Ministry of Culture and Tourism. c) Support the Land reform program and ongoing Fundamental reforms. Especially those that have nation building and consolidation of the peace process as their objectives. d) Support Strategic Investment in the Agriculture Sector. In addition to large scale commercial investment in the sector, we have yet to capitalise on the natural strength of the country in this sector. e) Support strategic investment in the Fisheries Sector. Both inshore and deep sea fisheries promises huge benefits to the country. h) Support public investment in the strengthening of Governance and our fight against the scourge of corruption. BY THE PRIME MINISTER, HONOURABLE RICK HOUENIPWELA. My fellow Solomon Islanders, let me on behalf of the Government extend warm Christmas greetings to you all. I also convey greetings from my family to all of you: men, women, boys and girls throughout this country, Solomon Islands, as well as those of you living abroad. My good people, as we approach the end of 2017, and upon reflection, the year has been a very challenging one. Indeed it has been a difficult year for many of you. You may have lost a loved one, you may have lost valuable property, or lost a job, or could not find one, and for our Youths perhaps you many have not got a government scholarship your were looking for, or for a businessperson, you have not got that business deal that you were looking for, or in the family a relationship may have ended up badly, or a terrible accident has happened in the family and for many you are still struggling daily trying to make ends meet. As you know, the Government has had its share of challenges as well. There are many pressing issues that could not be attended to. Government finances have been in bad shape it could not deliver on its intended development goals. The country had experienced a long period of political instability. The economy has been going through trying times. And of course these challenges have not gone away. At the same time, with the benefit of hindsight, we can say that despite these circumstances the year has been conquered. Despite the obstacles, you have soldiered on, you continue to persevere, you keep walking, you have taken these hard times as a stepping stone in life – you keep moving on, you just walk on, and on. My dear people, in times like these we give thanks to God. We should acknowledge his daily provisions. I would like to encourage all of us to remain steadfast, strong and positive. Let us not dwell on the past, but be positive about tomorrow and the future. To have the spirit that keeps out the negativity and embrace positivity. I encourage us all to maintain that positive spirit – about our families, communities and about our nation. Good citizens, Christmas is a time to spend with families and loved ones. This is the time we exchange gifts, share laughter and enjoy the festivities. It is a time for celebrations. However, in our celebrations, we must also take time to remember the hungry, the sick, the needy, the marginalized, and those that are suffering among us. It is a time when we must act out of love towards our neighbor. The weak and the disadvantaged. It is a time to do good works in our neighborhood, in our families, in our tribal groups, and in our communities. In that spirit we remember the sick and the blind, the lame, including those of us with ‘special needs’ and especially not forgetting our children. Let us remember our elderly and those who have lost their loved ones. It is time we must demonstrate God’s love in action this Christmas. But above all, my fellow Citizens, Christmas is about the birthday of our Lord Jesus Christ. This is the time we stop, reflect and acknowledge God’s intervention in our affairs. This is the time we should acknowledge that without God, humankind is lost. My dear people, God’s love for us is the central theme of Christmas. This is the reason for our celebrations. We are hereby challenged to love like God loved us. Indeed, we are called to love our neighbors just as Christ loved us. In that spirit each of us is called to serve our family, our village, our community and ultimately our Nation. In that regard I wish to leave with you a few thoughts on why the story of Christmas is the good news. So what time is Christmas this year? You find the answer in four statements the angel said to the shepherds at the first Christmas in the Gospel of (Luke 2:10-14). 1. it’s time to release your fears! The first thing the angel said was, “Do not be afraid!” Fear is your greatest barrier to knowing God and fulfilling his purposes for your life. Fear is a self-imposed prison that keeps you from living the life God intends for you. So whatever you are afraid of – Christmas is the time to let it go. 2. it’s time to renew your faith! The angel said “I bring you good news with great joy, and it is for everyone!” The Good News of Jesus keeps getting better because the bad news of the world keeps getting worse. The Good News is that God loves you, he created you for a purpose. God has really long range plans for your life! Christmas is time to come back to God. 4. it’s time to rebuild relationships! Finally the angel said, “Peace on earth, and goodwill to all people.” Once you haveve accepted God’s forgiveness, He wants you to forgive everyone else. Who do you need to offer forgiveness to this Christmas? It’s time to make peace! Time to rebuild relationships. My fellow citizens, I believe that is the greatest news, and challenge about this Christmas. Before I conclude, let me remind all of us that there are also many who will be unable to join in our celebrations. We should pay particular tribute to our men and women who will be maintaining normal and essential services throughout the holiday period. Most especially those serving in the clinics and hospitals, as well as those helping to maintain safety and security. As well we thank the dedicated men and women in the emergency services. There are many in public service as well as in the private sector who are engaged in ensuring essential services continue to function during the holiday season. So as you celebrate the festivities with family and friends, let us acknowledge and appreciate these folks who will not be able to do so due to their call of duties. In conclusion, allow me again to now wish you all the best of this Christmas. • All the men and women, boys and girls throughout Solomon Islands. On behalf of the Solomon Islands Government I express our profound gratitude for your support and cooperation in helping to build this country. I sincerely hope and pray that your experience during this Christmas and New Year festive season will be one of PEACE, LOVE and JOY. Wherever you celebrate Christmas this year, it is my hope and prayer that you have a joyful and peaceful Christmas. HAPPY CHRISTMAS CELEBRATIONS AND MAY GOD BLESS SOLOMON ISLANDS. Members of the United Liberation Movement for West Papua (ULMWP) have conveyed congratulatory message to newly appointed Minister of Foreign Affairs and External Trade, MP Ralph Regenvanu. “On behalf of Benny Wenda, Executive Chairman, United Liberation Movement for West Papua (ULMWP) and the newly elected executive (2018—2021), I write to congratulate you on your appointment as Minister for Foreign Affairs and Trade. “We would also like to express our thanks for your government’s generous and thoughtful gift of land and office in Port Vila. “We believe that as 2017 comes to an end God is preparing a new and better hope for the people of West Papua and the nation of Vanuatu. “This future holds great hope in giving a voice to the voiceless of the Papuan people in the United Nations. 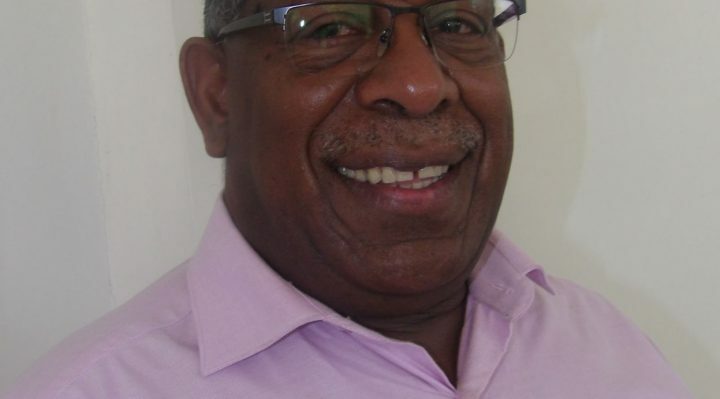 “A reshuffle of the Vanuatu Government’s cabinet arrangements by the Prime Minister as the head of the Vanuatu Government at present is certainly a very effective state policy closely linked to the direction of the effective support of the state of Vanuatu for the West Papuan independence struggle. Minister Regenvanu is one of the Vanuatu leaders who is always intrumental in negitiations towards the struggle for West Papua freedom from Indonesia. “Despite foreign influences and world modernization, Vanuatu continues to maintain its Melanesian traditional and cultural identity and values, through its many languages, traditional ways of living, custom dances, traditional marriage and death ceremonies and many other daily traditional way of life, particularly in the islands and villages,” says Malvatumauri President, Chief Senimao Tirsupe. “As we come to celebrate Christmas 2017, and prepare to welcome the new year 2018, I wish to remind every citizen of our country of the fundamental principles of our constitution which states that our constitution is ‘founded on Melanesian Traditional Values and Christian Principles’. “Parents and heads of families as well as community leaders should take a moment over Christmas and New Year to reflect on these constitutional fundamental principles. 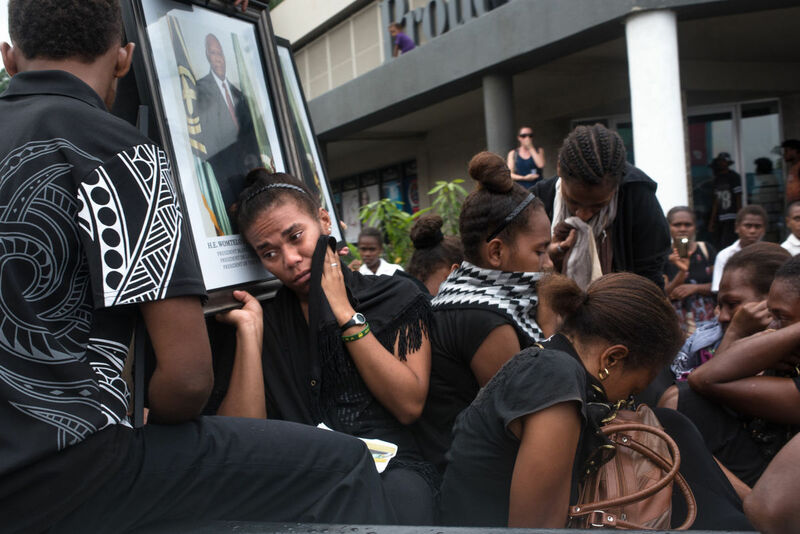 “The parents should take a moment to explain to their children these fundamental constitutional principles,” Chief Tirsupe appeals to Vanuatu citizens. While Chief Tirsupe took the opportunity to wish all Chiefs at all levels of Vanuatu communities and the citizens, the residents and visitors to Vanuatu’s shores a Merry Christmas and Prosperous New Year 2018, at the same time he reminded the people of Vanuatu to safeguard the many rich and important cultural and custom values that are basis of the national identity. “Vanuatu is facing many challenges in our society with fast growing technological advancement that is having adverse impact on our rich and varied cultural ways of life. “And unless the today’s generation is serious about protecting our Melanesian traditional values, tomorrow’s generation will lose their rich and varied customs and cultures and become less appreciative of what our customs and cultures mean as our true and only living Melanesian Identity,” Chief Tirsupe warns. In congratulating the national Government as well as all provincial governments, the chiefs and all community leaders for the many economic and social developments that has advanced Vanuatu to take its rightful place amongst the nations of the world, the Malvatumauri President is at the same time wishing the national leaders, the Prime Minister and State Ministers, the Chief Justice of Vanuatu, the Leader of the Opposition, the Speaker of Parliament, all Members of Parliament ( MPs) and the population of Vanuatu a Merry Christmas and Prosperous New Year 2018. Plante taem yumi luk ikam wan habit blo Opposition emi withdraw wan Motion lo 11th hour once emi realaesem se emi no kat namba. Opposition emi mas ko hed nomo blo tebelem motion ya mo allow palamen blo kat wan ‘intellectual debate’ from both sides of the house lo ol important issues we oli putum lo motion. So mi stap raetem open letter ya iko lo ol movers blo Motion, especially lo Lida blo Opposition Hon. Alatoi Ishmael Kalsakau se yufala no withdrawem motion even sapos yu no kat namba. least more MPs oli toktok…Mi stap sugestem lo Speaker blo allow at least 1 MP per Constituency emi toktok lo issue blo Income/Corporate Tax mo Pacer Plus irrespective of weta emi stap lo Kavman or Opposition. Yumi everi wan lisen in or watjem debate lo Tuesday. Former Ambassador to the European Union Roy Micky Joy and German Scientist Dr. Mathias Schmidt who have fought tooth and nail to defend the Pacific kava market in the European Union since the kava ban came into effect in 2002, have confirmed the German Court has ruled beyond reasonable doubt and told BfArM they have nothing to argue. What it means is that the door is once again open for kava exporters to export kava to the European market, ending 17 years of kava ban. Dr. Schmidt who runs a private laboratory in Berlin says, “Today (yesterday) we mark major progress in our fight for the rehabilitation of kava in Europe. “After the last meeting with the regulatory authority BfArM in court on October 23, the court had called for a lift of the ban visible in the official database of medicinal products in Germany. He explains, “What that means is that products marked as ‘marketable’ in the AMIS database automatically go into the ordering system of the German pharmacies. “Until today a pharmacist making a query would have received the answer ‘not marketable’. “Since today the pharmacy has the option to order from the companies or the wholesalers. With the latest confirmation, Dr. Schmidt says what the Pacific kava producing countries have dreaded for all this time may not be as bad after all. However he warns, “BfArM is not out of tricks, and they are using them to find other excuses for their actions. “Overall, however, the signal is loud and clear: Germany caused the whole drama by blindly rushing into a ban and now piece by piece they have to admit that they were wrong. In conclusion he warns kava growers, “Germany will be extremely aware of quality issues in the future, especially regarding two-day kava and/or peelings. The former Ambassador to the EU praises the Minister of Agriculture, Livestock, Forestry, Fisheries and Biosecurity, Matai Seremaiah and Director of Biosecurity, Timothy Tumukon saying they are going a great job. “We should go back to look at the (kava) industry in Vanuatu to make sure we do not allow visiting fly-in-by-night investors to get under-value of the market opening. 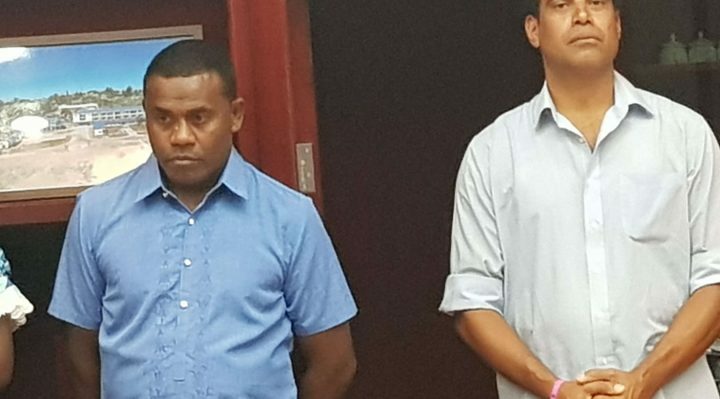 Prime minister Charlot Salwai has transferred Ground and Justice Party’s president, Ralph Regenvanu from ministry of lands to become new minister of foreign affairs.